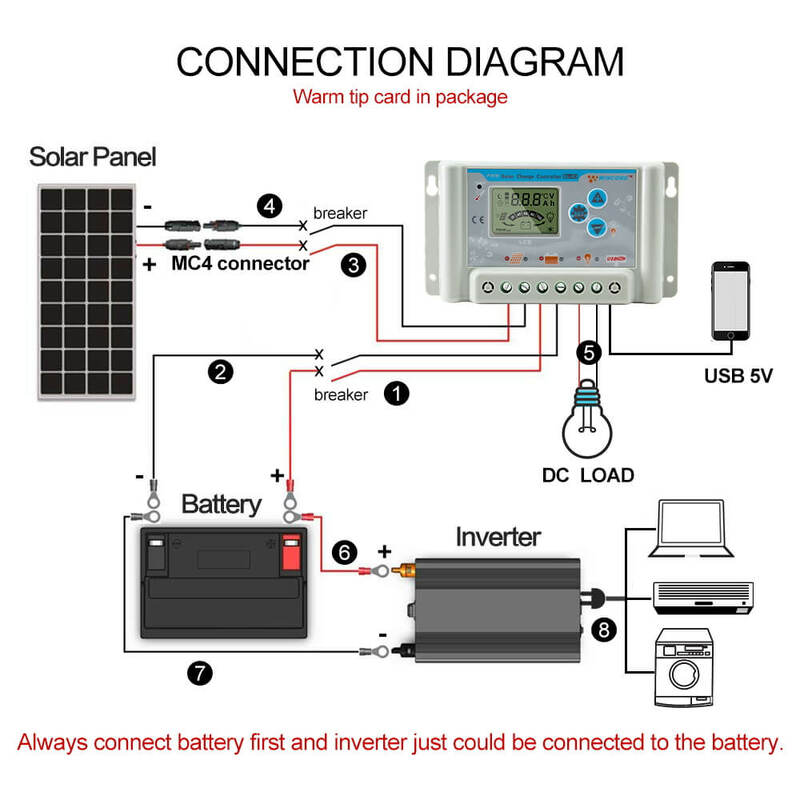 SL03 series controllers are kinds of intelligent multi-functional solar charge and discharge controller. 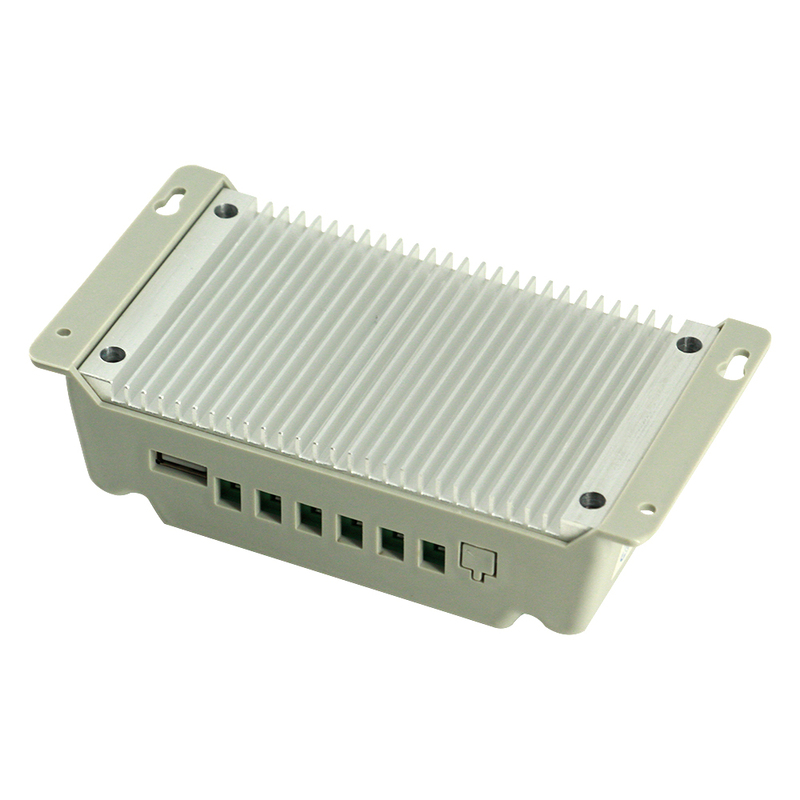 This series adopts thenew 32bit microprocessor to collect and compute various parameters, which is much more accurate and speedy than the former 8bit microprocessor. 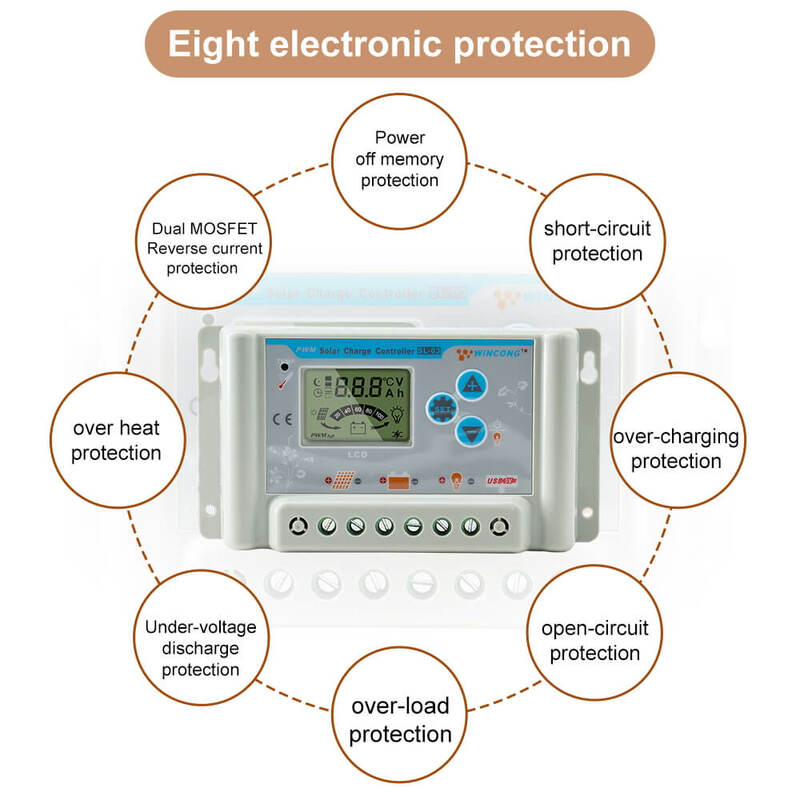 The customized LCD with wide temperature range is with vivid operation interface; the latest proprietary technology solves the problem of voltage display of solar panel. Nearly all parameters can be shown and set up flexibly. 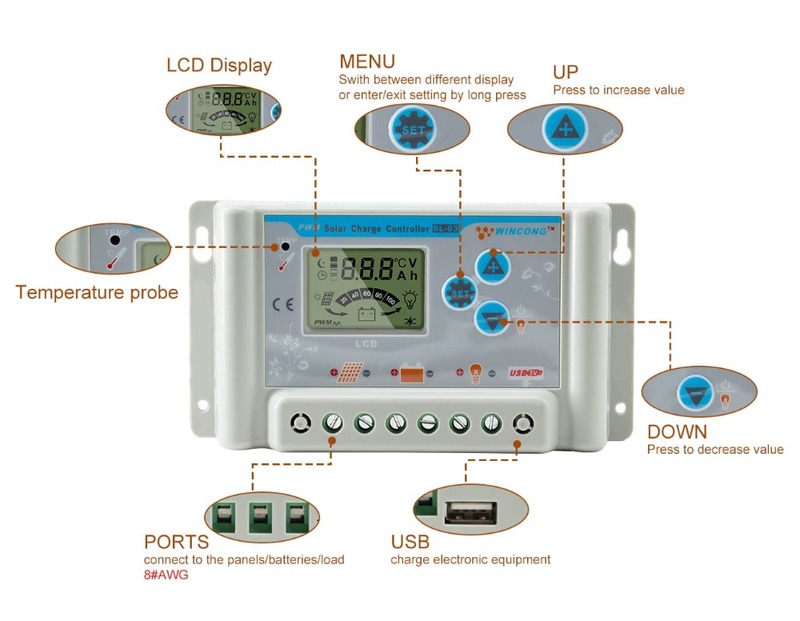 All of the multi-meter and other voltage and current instruments can be replaced by this controller, which can satisfy your various demands. 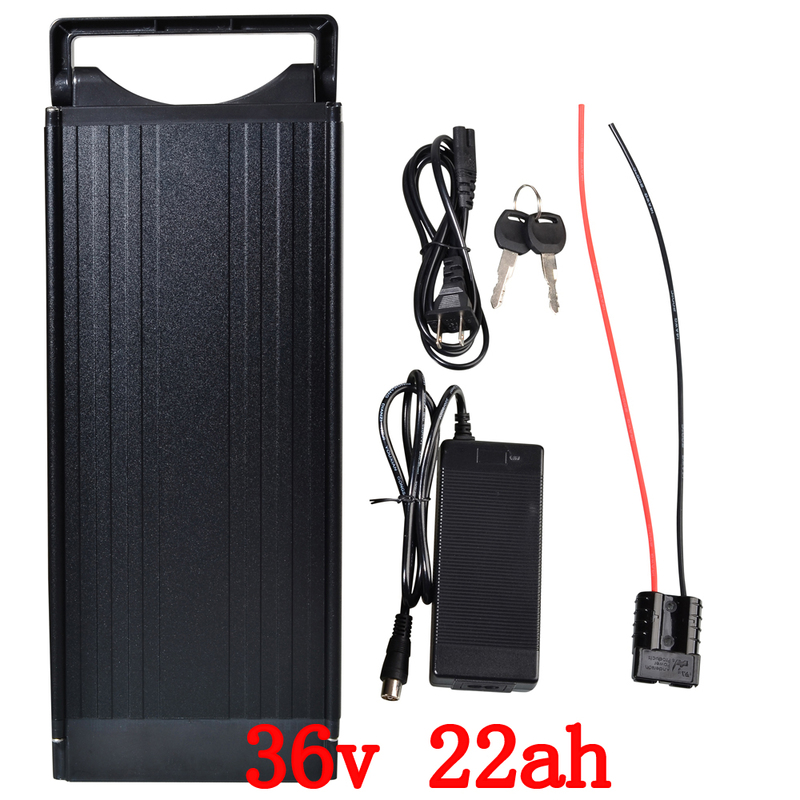 kinds of battery, such as lithium battery,gel battery,car battery .The old and new battery can all be applied to. 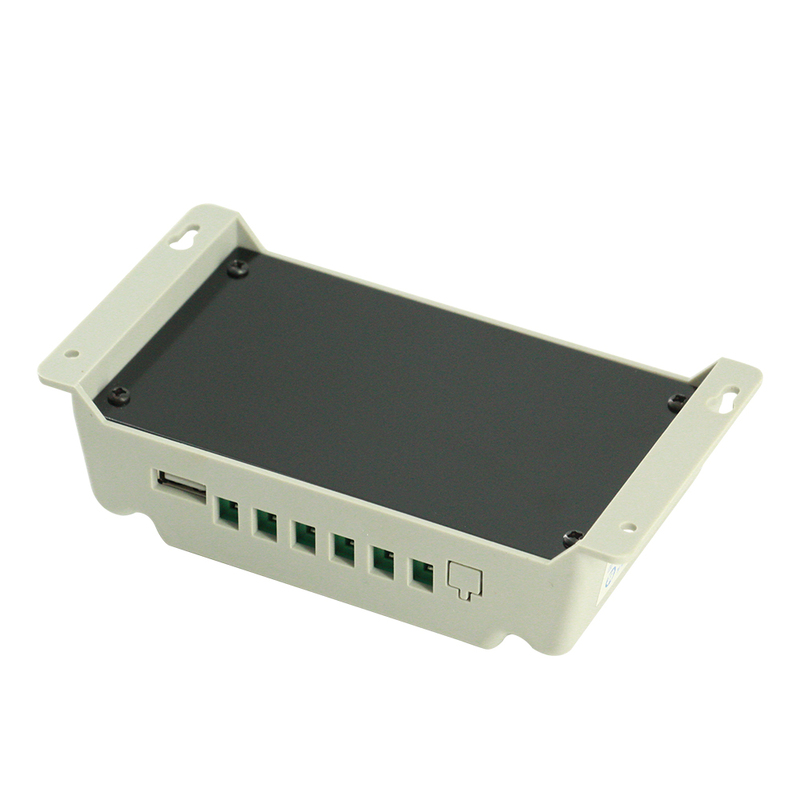 1.1 times of max current, works for 5 seconds or Short circuit,，the load is off at once and the indicator icon flashing，Then wait 30 seconds, it will automatically restart to work.